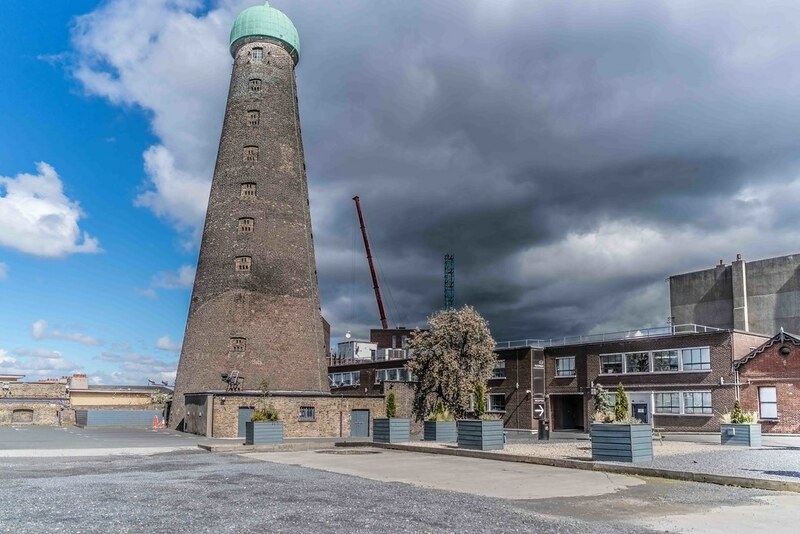 Most people in Dublin would never have heard of George Row Whiskey and would be aware that the Roe family operated a very large distillery on Thomas Street. It was in fact the largest Pot Still Distillery in the world. 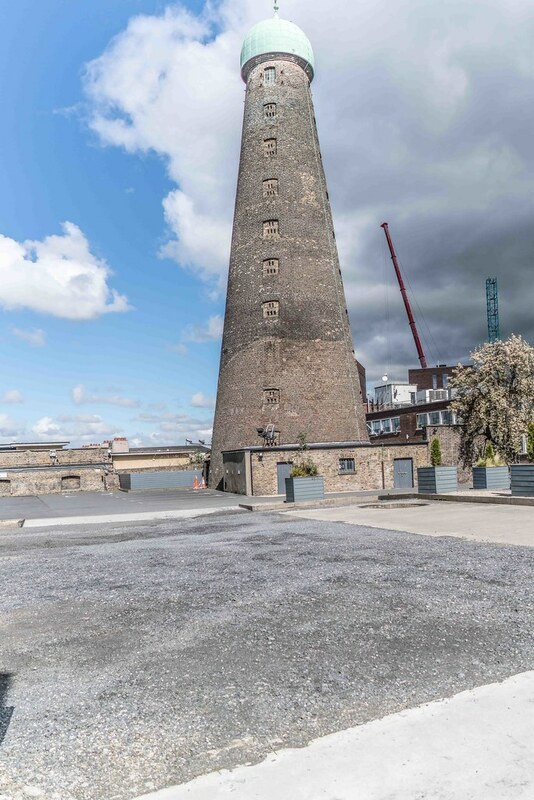 The now defunct distillery was home to the largest smock windmill in Europe and what remains is known as St. Patrick’s Tower. 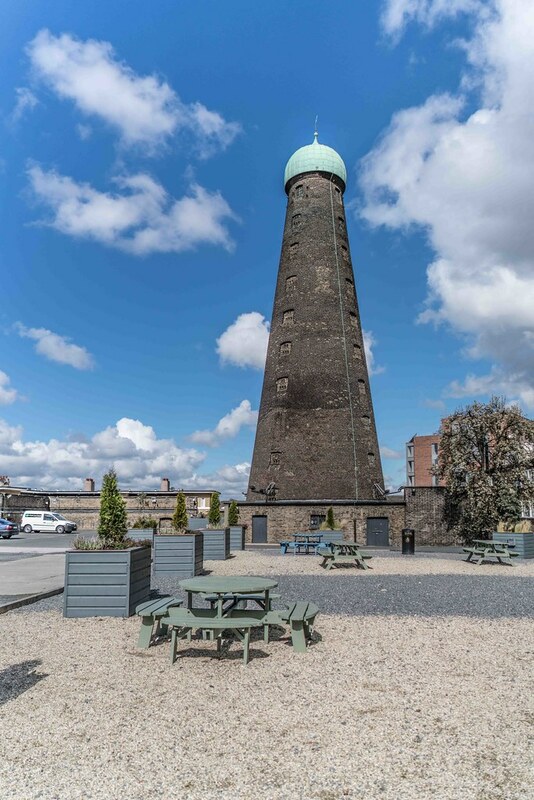 Until today I did not know that this was known as St. Patrick’s Tower because there is a copper image of St. Patrick at the top of the dome. While it is almost impossible to see the image it is in fact 4ft. in height. The tower itself is 135 feet high and the width of the base is 70 feet. Within the next few weeks I hope to return with a telephoto lens to see if I can get a photograph of St. Patrick. 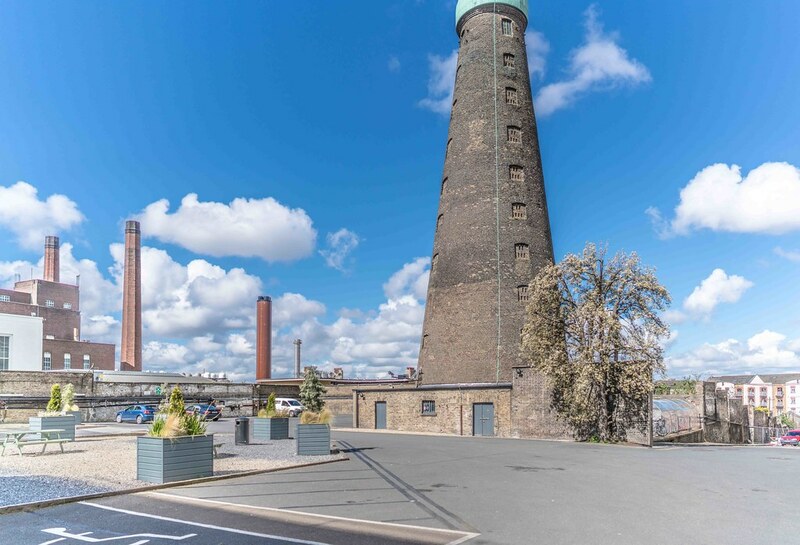 The late 19th and early 20th centuries proved to be very difficult period for the whiskey industry in Ireland, and the Roe distillery was no exception. By 1926 Geo. Roe & Co., Distillers had ceased producing whiskey, although they still possessed large quantities of unsold stock in storage. In the mid 1940’s the Limited Company dissolved. 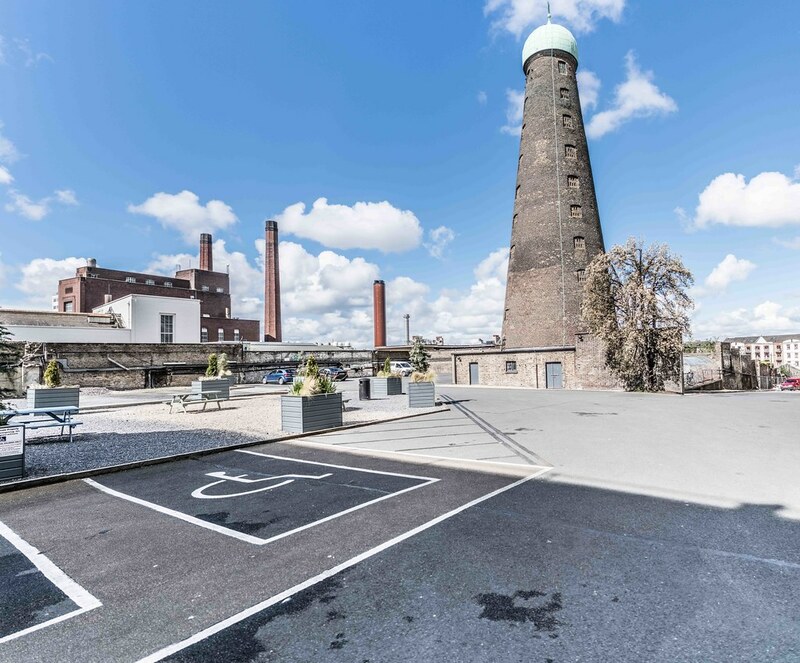 Finally, in 1949 Guinness took over the site of the old Roe Thomas Street Distillery.